Are you an educator grappling with copyright issues? 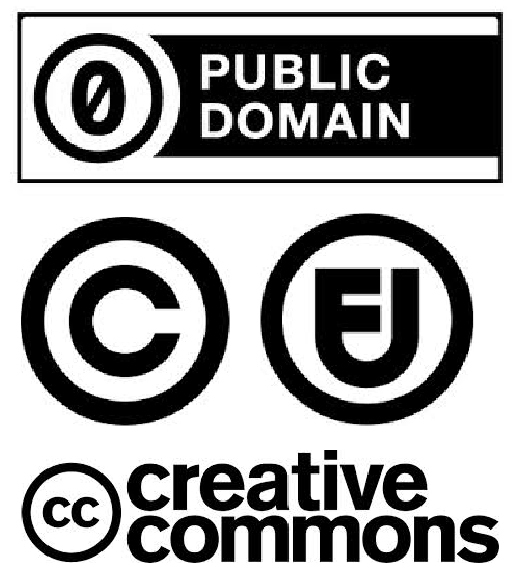 Still not quite sure about terms like Creative Commons, Fair Use, and Public Domain? As I was putting together a presentation on copyright and Fair Use for educators (at bottom), I thought I'd share what I've learned. Although I admire Larry Lessig's work and the good people at Creative Commons, it's important to realize that CC is another licensing scheme. I've found that even if educators understand CC, they still can be unclear about how copyright is really a balance between the rights of owners and users like educators. So let's say you want to use a copyrighted work in your teaching. Can you? The short answer is you CAN use copyrighted material in your teaching because of the Fair Use provision of the Copyright Act of 1976. The Code of Best Practices does a nice job of explaining the ethical, legal, and pedagogical questioning that all teachers and learners should engage in as we consider the use of copyrighted materials. In her book Copyright Clarity: How Fair Use Supports Digital Learning, Renee Hobbs uses an example from one of my students. After the book came out, we interviewed Renee on Teachers Teaching Teachers, #184. Since we're all pressed for time, here's a condensed version the original TTT podcast. The first seven minutes are Renee laying out her thinking on the culture of sharing in education. For the next six minutes Renee leads me through applying the Code to my own students use of copyrighted images, and why it's an example of Fair Use. That's followed up by two student examples – one from Paul Allison and an example from another student of mine. did the unlicensed use "transform" the material taken from the copyrighted work by using it for a different purpose than that of the original, or did it just repeat the work for the same intent and value as the original? What I like most about the Fair Use Doctrine is that it's really up to educators to model the ethical behavior that was the intent of copyright law all along.